For more information or to schedule an appointment with our Fayetteville chiropractor, call 479-442-0352 today! Care, compassion and competence may be the keys to the relief you seek. If you are suffering from back or neck pain, joint aches, strains or sprains, you owe it to yourself to seek out the best care possible. Fayetteville Chiropractic Orthopedic & Sports Injury Clinic will provide the superior level of care you and your family need to improve your quality of life. 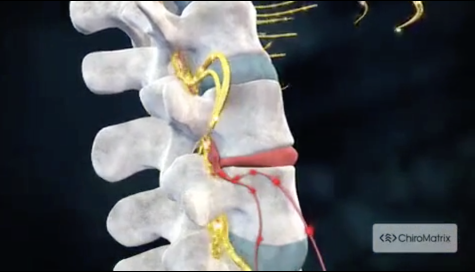 We have over 35 years of experience in conservative, non-invasive spine and extremity care. That's over three decades of practical experience delivering Chiropractic Services, including manual manipulation and physiotherapy which are effective at relieving the pain associated with a number of conditions, from sports, work and auto-accident injuries to chronic arthritis and overexertion from daily living. Dr. Austin is a specialist who practices full spinal and extremity manual manipulation with adjunctive physiotherapy application. Services available in the clinic include electrical stimulation to reduce muscle spasms and soft tissue inflammation as well as pain control and ultrasound therapy for more intensive inflammatory reduction and calcium deposit removal. Specialty low-force manipulative methods, including Activator and Logan Basic Techniques, are also used when necessary. We offer in-house X-ray, nutritional counseling, exercise programs, sports injury treatment, including taping and immobilization, and medical referrals when indicated. Call us today and take back control of your life from pain and discomfort. Discover the difference the right Chiropractor can make in your life!